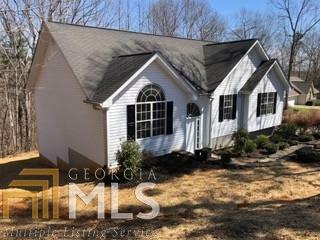 Picture perfect 3 bedroom 2 bath house for sale. Only minutes from UNG and downtown Dahlonega. Perfect for 1st time homeowner and great rental investment. Comes with fireplace appliances completely repainted and landscaped. Partly finished basement in nice quiet neighborhood. Directions: From Dahlonega Go Hwy 19 North Past Wagon Wheel, Turn Left On Oak Grove Road, Left On Ivy Terrace, Left On J Mountain.